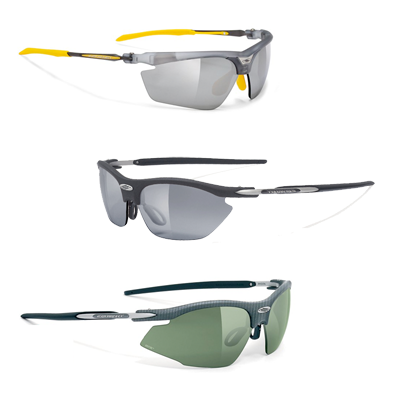 Rudy Project prescription sports sunglasses are the go-to choice for athletes. 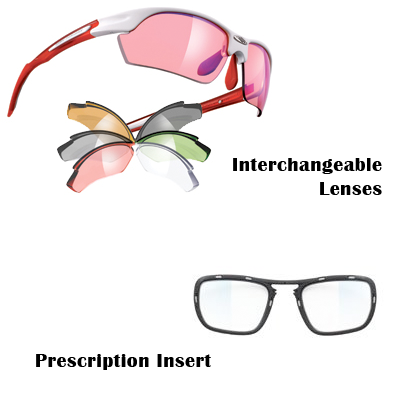 Along with their industry leading Italian frames, you have several options for adding your prescription in to the mix! Rudy Project offers the very first Digital prescription sports lens, or an insert that holds your prescription behind a variety of shields. Founded in Treviso in 1985 by the creative genius of Rudy Barbazza with the aim of improving the performances of athletes the world over, Rudy Project has been the leader in the sports and eyewear sector for 30 years. The love for progress, passion for style and attention to quality have given life to an exclusive collection of technologically-advanced sports eyewear. “Technically Cool” is the company payoff, two words which best express the essential characteristics of each Rudy Project product. ImpactX™ is a family of patented polyurethane optical polymers, transparent and unbreakable, originally developed for the military to provide superior protection and performance. ImpactX™ was born in the USA in the early 1990's when the U.S. Government contracted Simula Technologies to develop a new bullet-proof, transparent, and light-weight material capable of providing superior protection, reliability and longer lasting performance than polycarbonate. This material is also used in the windows in post Sept. 11 cockpit doors being installed on airplanes and Apache helicopter windshields panels; it is today available for Rudy Project Eyewear under a unique and unparalleled lens program: ImpactX™. At Rose Fashion Optical, we don't mess around with frames that can't walk the walk, and we know that Rudy Project frames make you feel like you can run faster, and jump higher. Owner, Operator and Optician Jeff Schloner is an avid bicyclist, and would wear nothing but his favorite Rudy Project Sports Sunglasses. 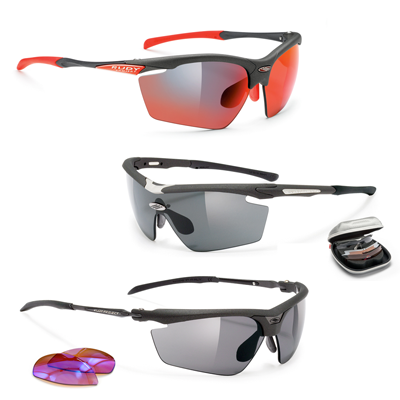 Whether you are cycling around, golfing, fishing or any other favorite outdoor sport, Rudy Project Prescription Sunglasses are the best of the best. © 2019 Rose Fashion Optical.